Our operators are entrepreneurs who independently operate Go! stores for a set period of time, often seasonally, and they are as unique as our business! Many operators come from retail management positions, or have left the “corporate” environment behind to work for themselves. This is also a perfect opportunity for entrepreneurs who have left the workforce but remain excited by retail and only want to work part of the year. We along with our network of operators are a diverse and unique team that welcomes those that have been bitten by the entrepreneurial bug! Our program is attractive because of its low upfront cash investment, along with its potential to grow a business based on performance. This is truly pay-for-performance business model. What is a Pop-Up Store? Pop-up stores are retail spaces that typically operate on a short-term basis. At Go! we operate kiosks in addition to inline stores, both of which can be seasonal. Because no capital investment is required, this financially attractive opportunity is appealing to entrepreneurs. Our pop-up stores will begin opening in September, with stores opening all the way through mid-November. The majority of these will close by the end of January. This cadence allows us to maximize profits while not incurring the losses that most retailers experience during low traffic months. An operator’s mission is simple: help every guest find the perfect gift. We encourage guests to play, explore, have fun, and BUY. We call this mission “active selling” ― our customers are on their feet shopping, so we should be on our feet too! Operators must maintain an entrepreneurial and sales-driven spirit, must have a strong drive to succeed, and must be committed to being present and active within their store on a day-to-day basis. In addition to being sales-focused, operators must know how to attract, hire, train, and retain a strong sales staff. They should be able to engage all provided training resources to educate and motivate their staff. Because the majority of our training is online, an operator must have the ability to work quickly and efficiently in an online world. While locations are being agreed upon, interested operators must be able to perform an inspection of the site, which involves taking detailed measurements and photos. Taking photos is key, as additional photos will be required throughout the season. An operator must also be able to physically assemble a kiosk or store; sometimes needing to do so overnight. An operator must have strong merchandising skills, and the ability to follow a planogram and detailed merchandising direction. New operators will need to interview with our Recruiting Manager and our Director of Stores, and must also pass a background check, have reasonably good credit, and the funds required to get started. We make it easy for our operators to set up shop and start making money quickly! We provide the below services so you can focus on your store, your customers, and your sales! We secure a location(s) by negotiating rent and utility fees, leasing the space and paying the rent. Our Real Estate team coordinates all of the details with the landlords. Based on a site inspection (often done by the operator) we will create a completely custom CAD drawing of the space, assign it concept (s) and product assortment to maximize sales, and we will also plan fixture assortment. Based on all of this we will set a sales target for the year. We will create a custom opening schedule for each store. This schedule will include shipping everything that’s needed to build a store, fill it with product, and make it look awesome! We will assign an Operator and opening date for each store, and will coordinate all of the relevant details with the landlords. We will track each store’s sales daily and will draft due funds out (leaving commission and sales tax). Commission rates are set when stores are assigned (in partnership with the Operator) and are then locked in for the duration of the holiday season. We will track and report your week over week and year over year (if applicable) sales performance. If a store’s sales are off-target, one of our knowledgeable reps will contact the Operator to see what obstacles the store is facing. Our reps can often help coordinate solutions for any obstacle which may arise – or can put you in touch with the proper department for handling. We will plan contests, incentives, and other fun engaging activities that will help make the season fun for our Operators and their staff. We will provide a complete online training platform which features digital classes covering all facets of the business. We will list your store on our online store locator, and will market your store via weekly and bi-weekly e-blasts to customers in your store’s area. We will also provide the mall marketing staff with promotional content and information so the store can be promoted on the mall website and/or social channels. We will provide a proprietary and interactive online portal where Operators can request product, fixtures, graphics, or marketing assistance to help grow sales. We will watch sales closely after the Holidays, and will assign closing dates as appropriate. These dates are often assigned very quickly so each store can be inventoried, torn down, and shipped back to us lightning fast! In the Spring, after the stores have closed, we will reconcile financials and settle-up with each Operator on any possible shrink and missing deposits. Are you ready to make money this Holiday Season? Have you read all of the above information and are now ready to see what locations are currently available? 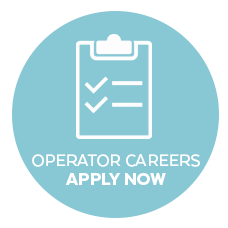 Check out the operator testimonials below, and then CLICK HERE TO APPLY to view open positions. Keep in mind – we have new locations added regularly. If you don’t see the location that’s right for you, check back regularly, or feel free to email us and let us know what you’re looking for!